Travel is not about the destinations alone. It is a journey on both the physical and mental levels. 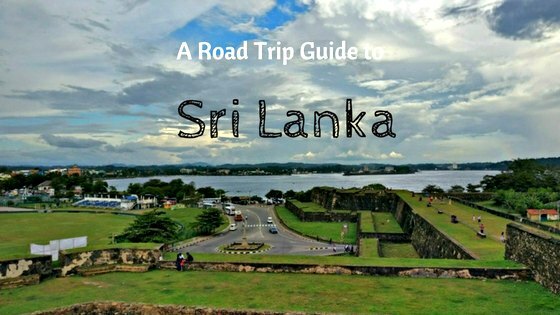 Being on the road sometimes challenges us physically, and the other times, travel takes us through a whole series of emotions, from happiness to anger to extreme remorse. During my travels in Nepal, I had such day that took me on an emotional ride. 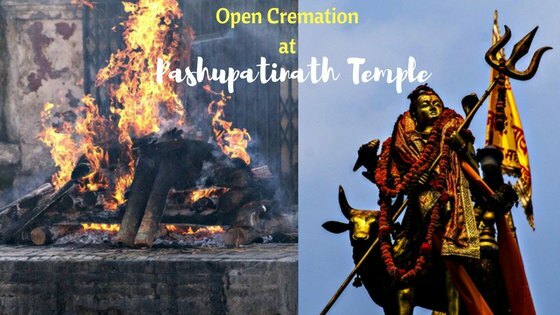 I got a chance to witness the open cremation at Pashupatinath temple in Kathmandu, and it was nothing like that I had expected. 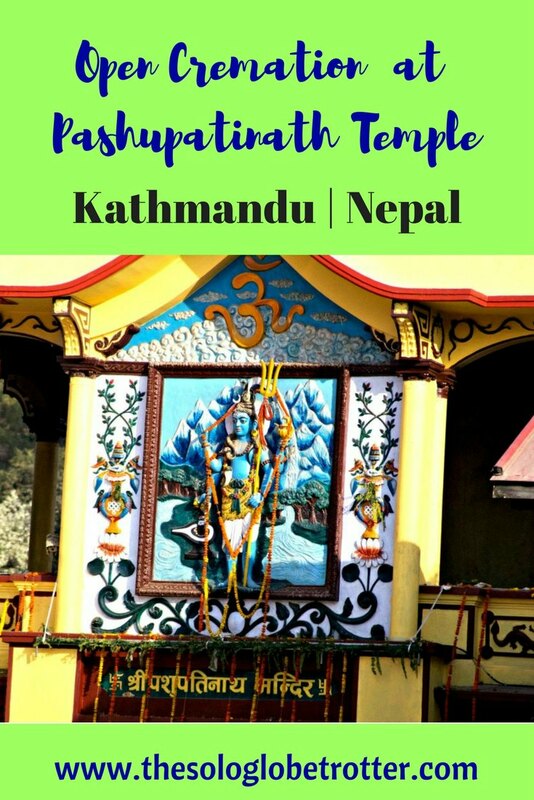 Before I continue on the cremation at Pashupati, let me tell more about the most sacred places of Nepal – Pashupatinath Mandir. Located on the banks of the river Bagmati in Kathmandu in Nepal, the temple of Pashupatinath is one of the ancient places of worship. It is the oldest Hindu temple in Nepal, dating back to 400 BC. Abode to the national deity Lord Pashupatinath or Shiva, Pashupati mandir or Pashupati temple witnesses millions of visitors every year. Pashupati temple is one of Nepal’s 8 listed UNESCO world heritage sites. Importance of Pashupatinath Temple – To the people of Nepal and the Hindus all over the world, Pashupatinath Mandir in Kathmandu next to Bagmati river is what is Kashi Vishwanath temple in Varanasi on the bank of the Ganges river in India. Pashupatinath temple is one of the main historical places of Nepal. Thousands of people gather to watch the Aarti by Bagmati river in the evening. People of Nepal believe that if the cremation in Pashupatinath is carried out, their loved ones will join the eternal path. It’s a spectacle to watch the lamps dance in the hands of the priest who rever the river Goddess. 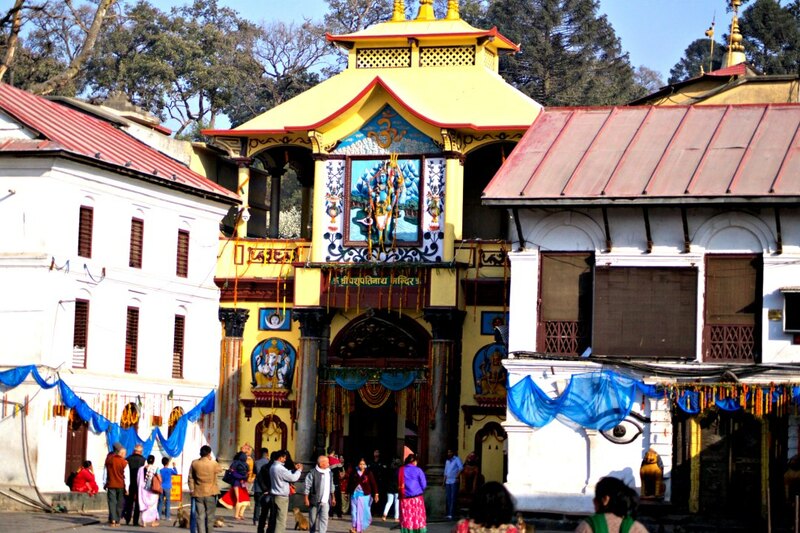 Pashupati temple’s legends are as fascinating as its history. 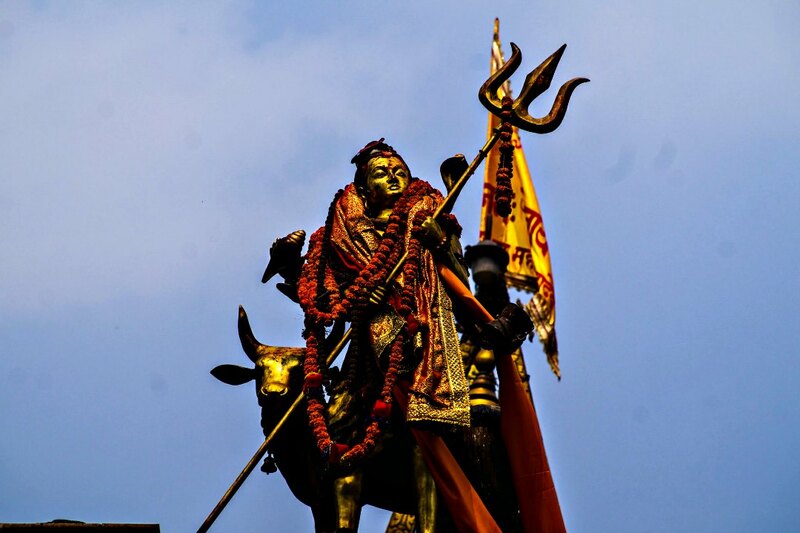 The name Pashupatinath translates to mean the leader of Pashus, which means the lord of all the beings in the Universe. The main idol in Pashupatinath temple is the Shivling, which is worshipped by highly qualified priests. Maha Shivaratri festival attracts about 1 million visitors to Pashupati temple, and this place is the centre of celebrations for the entire country. Later in our trip, we got to know that we just missed witnessing this grand festival although we were close by. Hindu Cremation Ceremony: The notions of death & life are too deep to comprehend, and overwhelming for most of us to imagine. We are asked not to think about the inevitable, and instead focus on this journey called life. But it is easier said than done. The media are filled with tragic deaths, and we wake up to the disturbing news every morning – thanks to the sensualising media that glorifies tragedies happening all over the world. Also, death itself reminds us of its presence by taking away the people we know, love and are a part of lives, from time to time. So there is no escape from this death. But witnessing the burial is an intense experience, especially when you don’t anticipate. 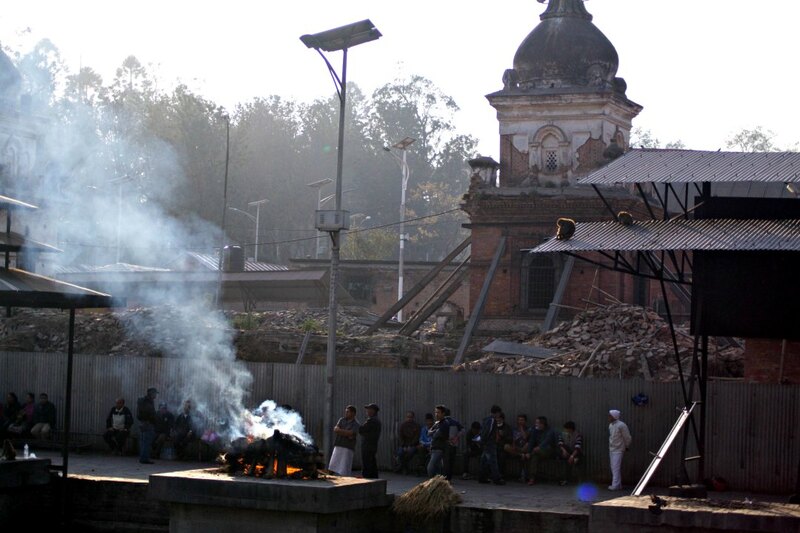 —>The practice of cremation in Nepal at Pashupatinath dates back to centuries. 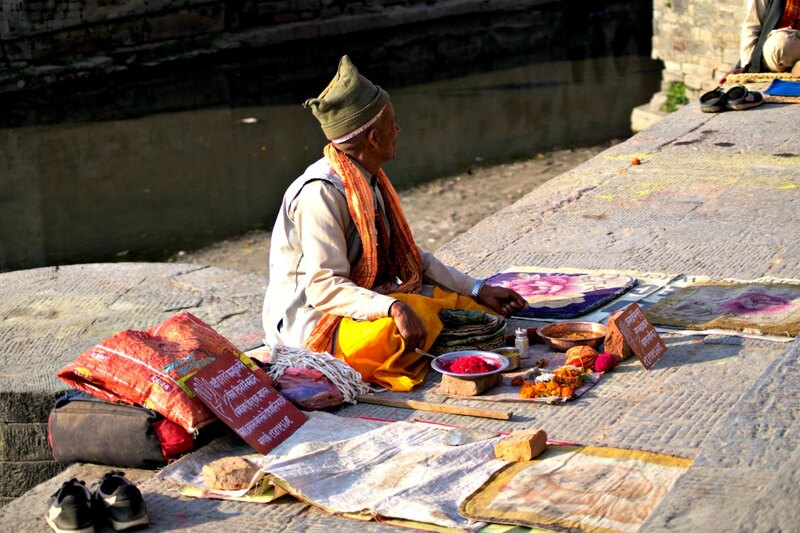 Arya Ghat, the place where the crematorium lies on the Bagmati river is the largest cremation area in Nepal. —>The crematorium consists of 6 elevated platforms on the banks of river Bagmati outside Pashupatinath temple in Kathmandu. The two closer to the temple belongs to the royal family and the nobles, while the remaining is for the citizens. 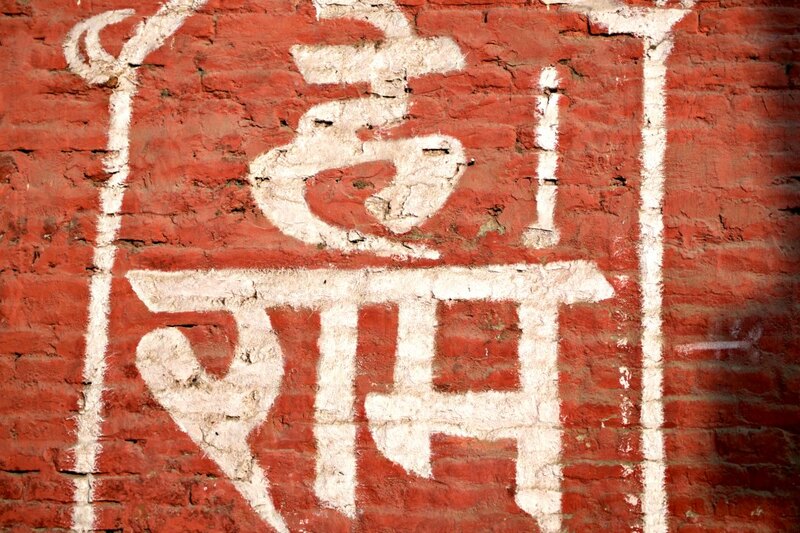 —>It is believed that a Hindu cremated here would be reborn as a Human in his next birth. —>The entire process takes 3 to 4 hours, and the ashes join the river Bagmati, which eventually leads to the Ganges river in India. – You’ll be surprised by the absence of any stench or smell that accompanies dead bodies. The cleansing with sacred camphor and other substances probably does that. —>There is a centre for cornea dedication where the family of the departed can donate the eyes if they wish to. It was evening when we arrived, and as I was the only Hindu in our group (non-Hindus are not allowed inside the temple), I got in with our guide Shyam, while the rest of them went to explore the temple banks. The temple was closed for a break, and as such, I could not see the shrine as well. So I spent some time checking out the old pagodas that stood, and many statues of the Hindu Gods. After a while, we headed to the back of the temple, crossing the bridge leading to the cremation area. I could sense a sudden change in the vibes. The bustling crowd was in commotion but an eerie silence accompanied near the banks of the river. I saw a dead person wrapped in orange from head to toe, with only her face visible. The family of the old woman stood in agony as the priest performed the rituals. The Bagmati river looked clogged and black with dirt, but that didn’t seem to have any impact on the process or the people. Onlookers including me watched the rituals with mixed emotions. 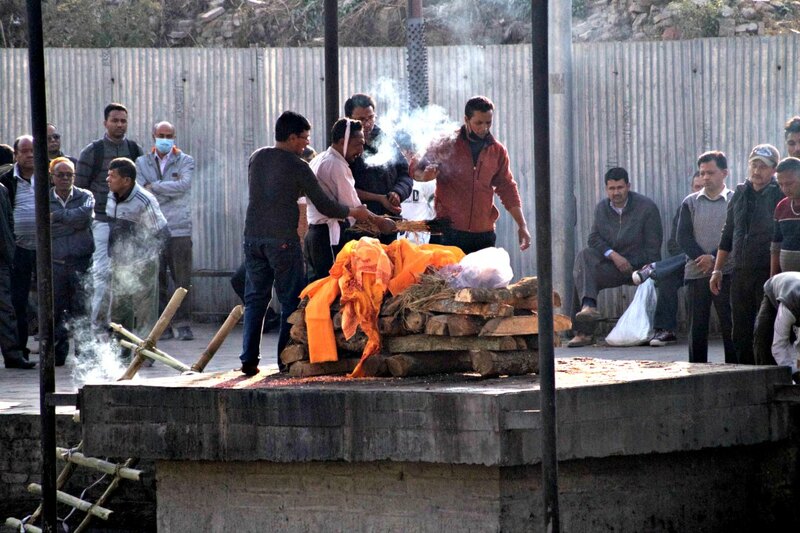 According to Nepal’s funeral traditions which follows Hindu cremation, it is customary to bury the dead within a day, and people consider it auspicious to cremate at Bagmati river, and it is a deep-rooted tradition that has been practised for many years. After a while, the body was carried by the men in the family to the pyre area, where wooden logs spread on a stone platform was in place. The priests chanted the prayers loudly directing the body to be placed on the logs. The pyre was lit after pouring ghee, oil, expensive clothes and some other things that I couldn’t recognize. On the final journey of the passed one, it is a practice to add the best things that can be afforded by the loved ones for the departed. So the pyre usually consists of expensive wood, things that the departed loved, rich oils and possessions. As the wails of her family echoed through the canal, the pyre burnt in full strength. I saw another dead man being carried to the next pyre that was being made, followed by his loved ones whose sorrow was growing loud with every passing minute. The fading rays of the sun added to the gloom that filled the air. We walked on the other side of the cremation area passing a few small temples. There were holy men clad in bright orange, red and yellow who refused to pose without us paying some money! 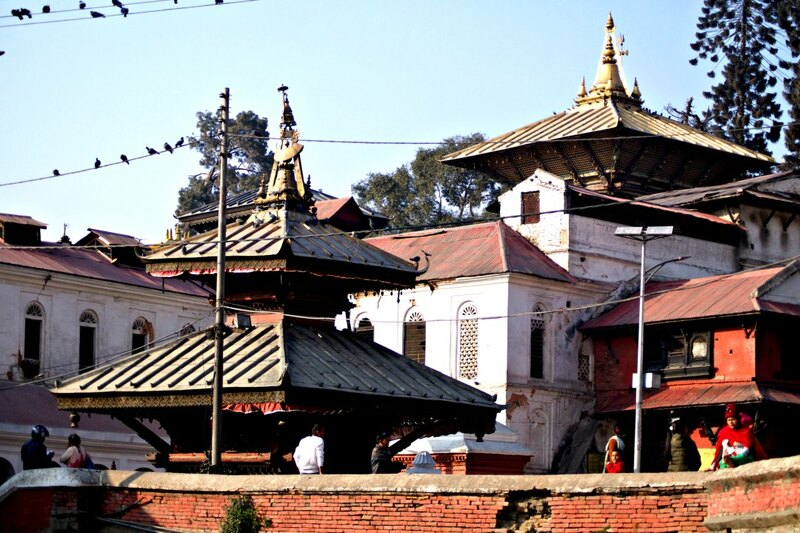 The Pashupati temple is an experience of cultural immersion. From being introduced to the monuments that have withstood times involving calamities & crime as you enter, the backyard of the temple premises takes you on a different journey evoking different emotions. Owing to the current state of the river and the pollution levels, it looks practical to stop this practice at once. But the people seem to think otherwise, for cremation at Pashupatinath is an indispensable part of their journey called life, the place to bid adieu, and people are not ready to give that up yet. The Bagmati river silently witnesses the loss, tears and the agony every day as she wages a battle of survival of our own. Her plea seems to have lost amidst the voices of the humans who ‘worship’ her by their indulgences. Pashupati temple is located about 5km from the main area of Kathmandu, and the airport is just 2km away, while the other popular landmark of Nepal – Boudhanath temple lies close to Pashupatinath temple. You can easily reach the temple by taking a cab or your own transport. But it is essential to plan your trip to Pashupati by keeping in mind the timings. 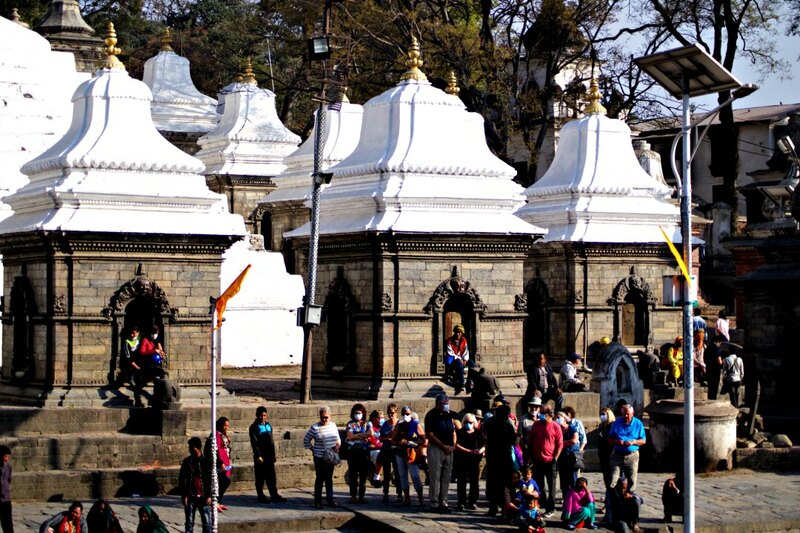 The best time to visit Pashupatinath temple is from September to April, although you can travel throughout the year. 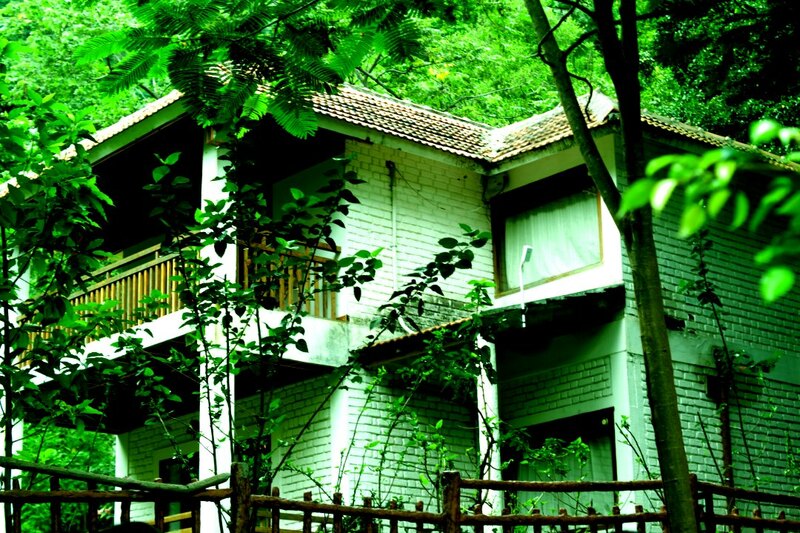 Festivals like Mahashivatri and Holi are celebrated during the high season, and so, if you want to be a part of either of these, head there during the peak season. There is an entry fee of 1000 INR for foreigners, but only Hindus are allowed inside the premises of the temple. You will be bugged by a lot of local guides insisting you to let them guide you – The temple is rich in architecture and has an interesting history. So you can opt for a guide, but the only flip side is the prices. Some of them might quote sky-rocketing prices and you’ll have to haggle. Pashupatinath temple is a religious place of course, and you’ll have to adhere and respect the local culture and norms. But owing to the crematorium, it is advised to dress & behave appropriately. Also, you can click cremation ceremonies, but try to be sensitive as people would be grieving. Maintain sufficient distance if you want to shoot, and avoid shoving cameras in people’s faces. And take prior permission from people if you are too close or want to focus on any one particular. You’ll spot some yogis/sadhus on the other side of the crematorium. They’ll ask for money if you try to click them. 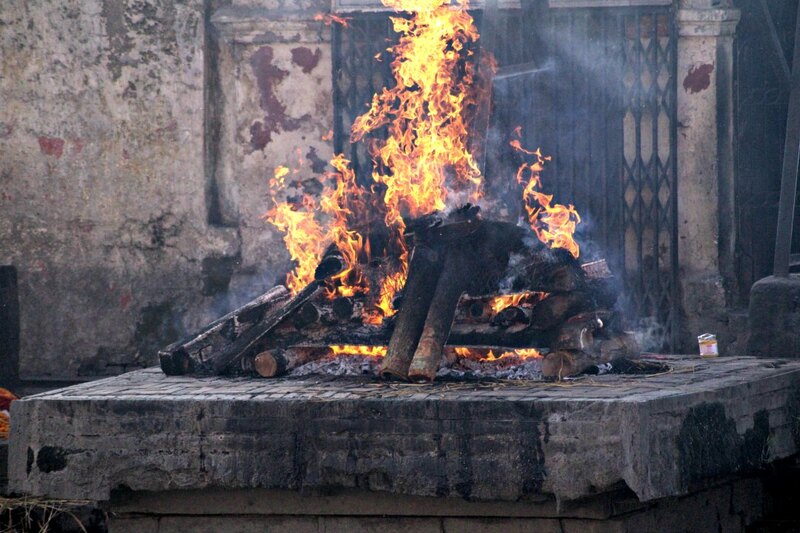 Have you had a chance to witness open cremation at Pashupatinath or anywhere? How was your experience?